Roy Tyson has a great sense of humour. If his work can make poeple smile, he’s happy. And if you scroll through this post, I bet you won’t be frowning. 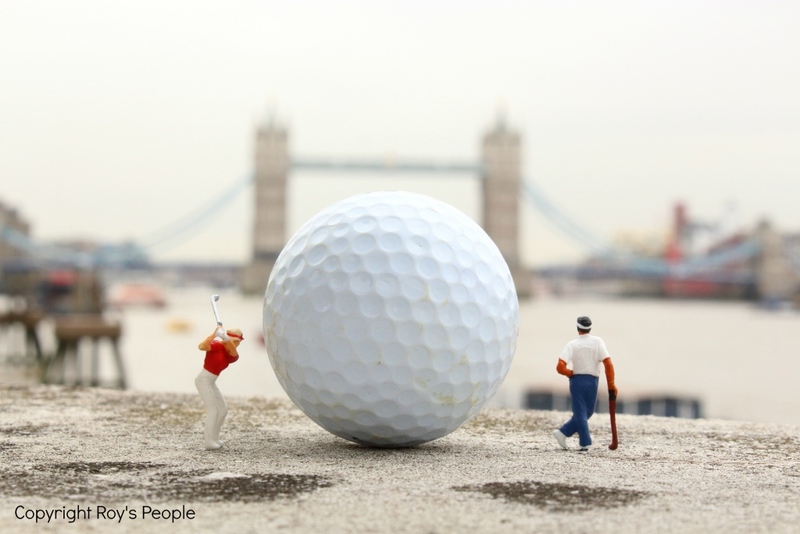 Using the whole of London as his playground, Roy photographs strategically placed miniature toys like Legos and other props to create humorous or sometimes political images. Beginning this Wednesday, he’ll be involved in a joint exhibition of work with Sam Peacock in the new Seven Dial’s Cafe inside Timberyard in London’s Covent Garden. Note: Roy’s asked to remain unpictured to protect his identity. LO: Tell us a bit about yourself and your background. RP: I am from Essex and am lucky enough to pay my bills solely by producing art. LO: You’re exhibiting work this August with Sam Peacock. Where and when is the exhibition and what can we expect? RP: The exhibition begins on August 6th and runs until 14th September at Timberyard Coffee shop in Covent Garden. Visitors can expect to see two completely different styles of work. 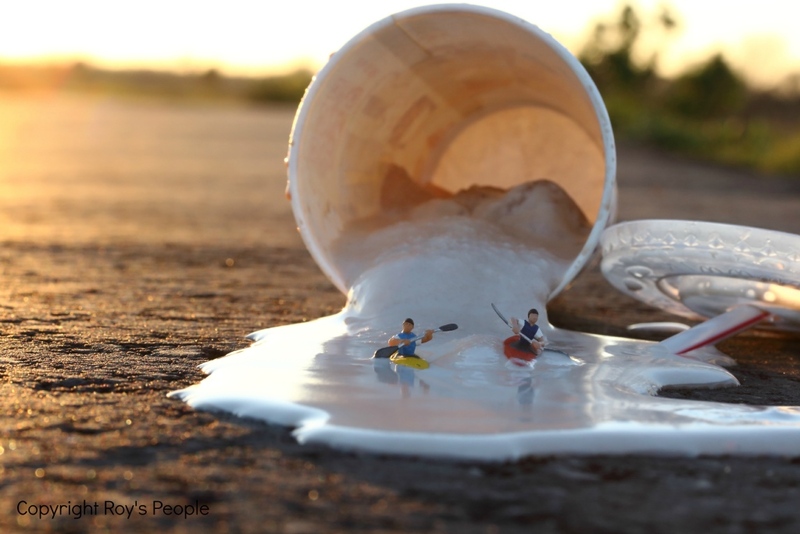 With Sam’s abstract landscapes and my photography there is a good mixture of thought provoking and humorous work. LO: If you didn’t have an example to show to someone you just met, how would you describe your work to them? RP: I get this a lot. 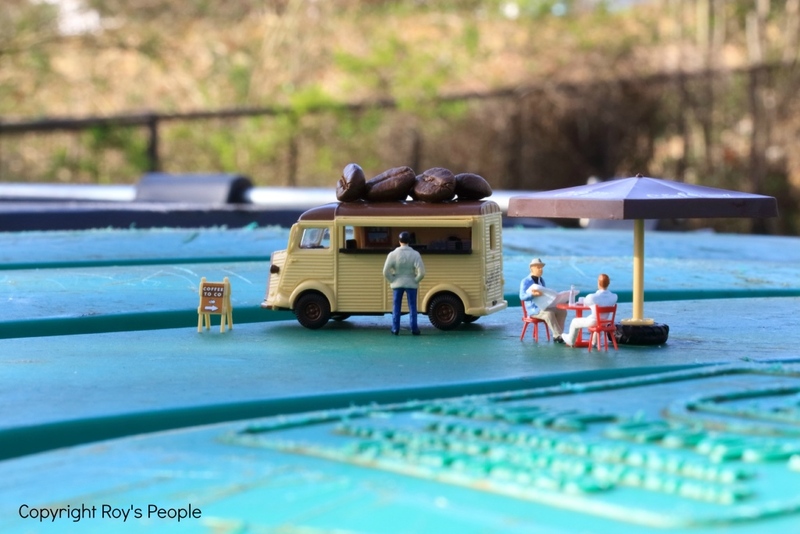 I am lucky enough to be able to get away with ‘I use miniature figures and put them on the streets and photograph them’ or something along those lines, and usually people understand. It’s even better when they refer to one of my pictures they may have seen in the papers; that is good for the ego! LO: What do you hope to communcate through your art? Why is it important to you? RP: What I try to communicate through my work varies depending on my feeling at the time of creating. Sometimes I want my work to be very fun, to show my sense of humor and other times I like to make a comment on something political. Mostly, I like to make works that bring a smile to people’s faces, I get the most pleasure from that reaction. RP: One of the most memorable interactions I had was whilst I was doing a photo in Shoreditch, laying on the pavement with lots of people walking past and stopping to take a look. Two ladies recognized what I was doing straight away and I had just had pictures printed in that week’s Time Out magazine. 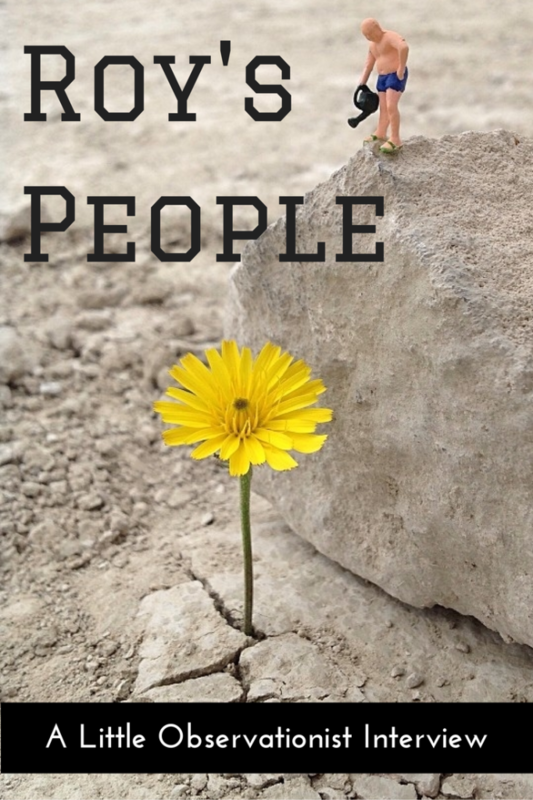 They knew “Roy’s People” and referred to my pictures. There was a lot of love for what I was doing and they were blown away that they had seen me working. It was a very surreal moment to learn how many people were seeing my work, as recognition for me is an important factor for growing my career. 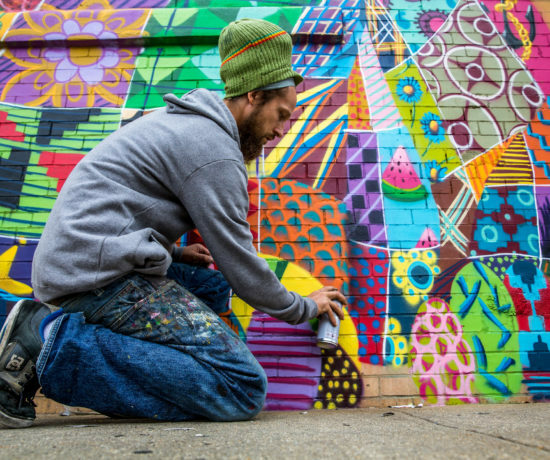 LO: When did you first start creating street art and why? Have your style or goals changed at all? RP: I first started creating my type of work about two and a half years ago. My style has changed. In the beginning, I used a lot of taxidermy, but slowly have moved towards using everyday objects in my images. I learnt photography purely so I could make good pictures, so even my style of photography changes as I get better with the camera. LO: What has been your favorite piece so far and why? RP: My favourite piece varies from day to day, but I find that with art anyway. I have a huge collection of works by other artists, and some days I won’t like a picture, but the next day I will. I would say the one I enjoyed making the most was ‘The Race’. I found out just how quickly a milkshake could melt. Four milkshakes later and I had the picture I wanted. It was manic. LO: How do you start your day? And what do you do to wind down in the evening? RP: I start my day with social media. Yes, sad I know, but it is all part of building my name and brand. Generally I get all admin out of the way early and then head to the studio. Please remind me, what is winding down again?! I don’t think it exists. LO: Share three little everyday things that make you happy. RP: Three things? Tea, dinner, beer. LO: What’s your favorite London discovery? RP: My favourite London discovery would probably be Primrose Hill. I have done a lot of photos around that area. Often, I go to different parts of London just to wander around and see what I can do. 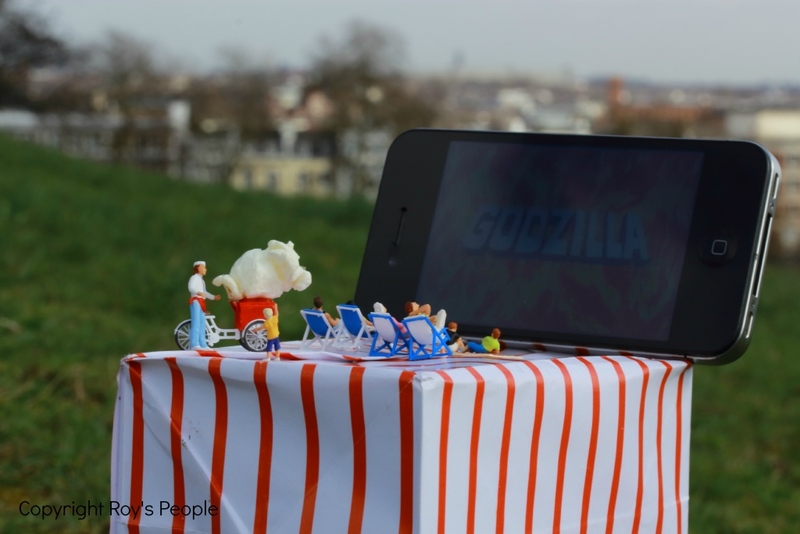 Most of the pictures I did for Time Out magazine were at Primrose Hill. Check out Roy’s website for more and you can follow along on Twitter and Facebook too. From the exhibition press release: It is from the city lifestyle, of packed schedules and meeting on the move offered by Timberyard, that Roy’s People is inspired by. 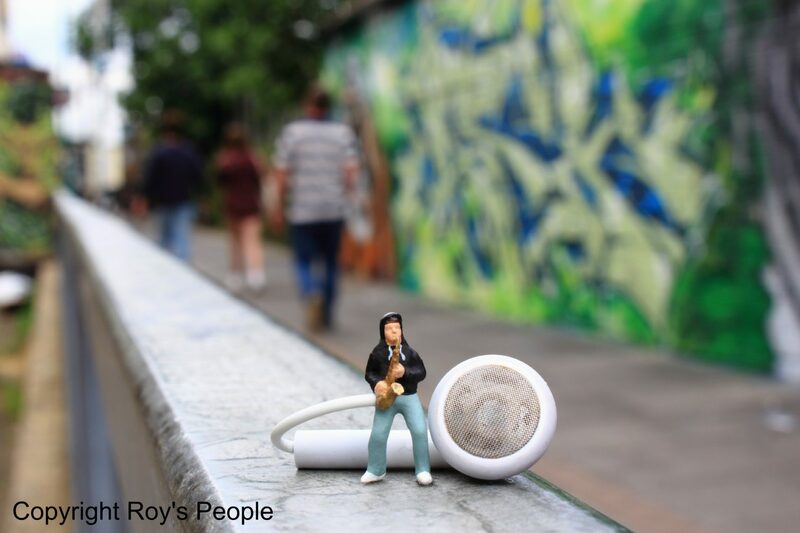 Roy’s People is the brand of artist Roy Tyson, who creates installations that are photographed in and around London, celebrating the city’s oddities and personality. For instance, Roy’s London Life created for Time Out magazine makes light of city living with coffee culture as the fuel of London. 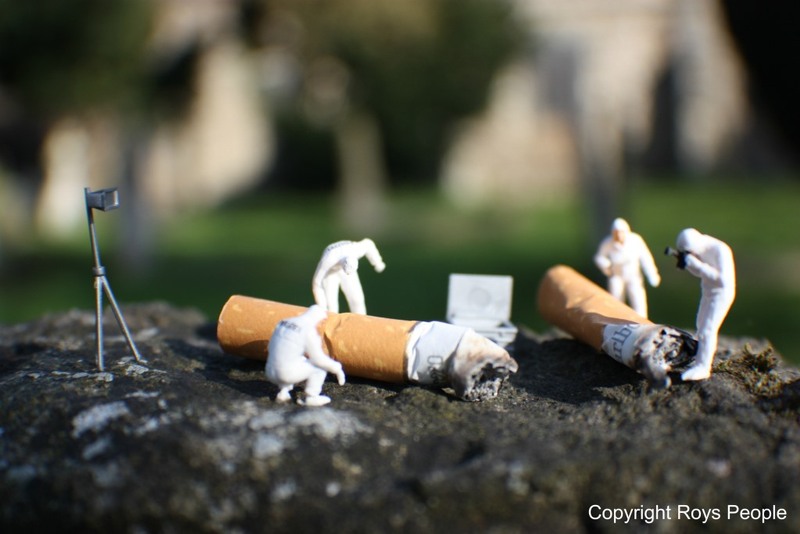 These bashful scenes of miniature figurines, created by Roy’s People, take on observational humour that gets a chuckle every time. Exhibition runs 6th August – 31st October 2014.